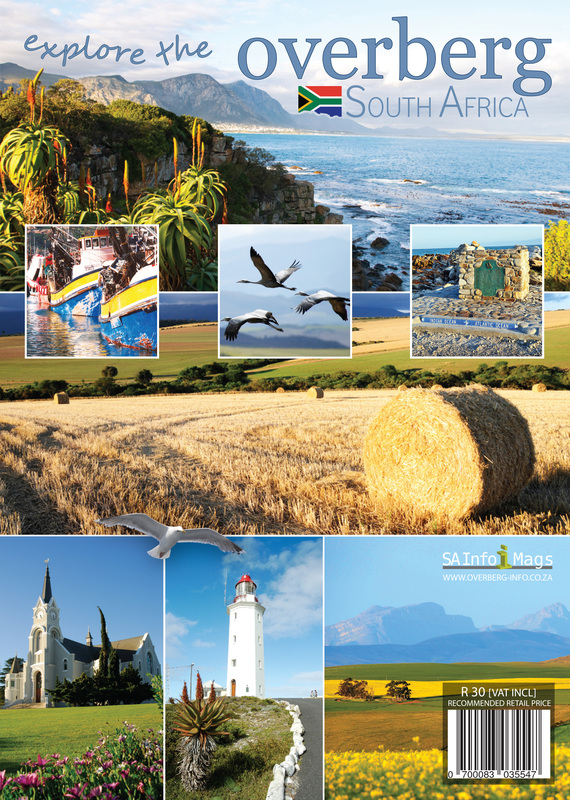 Overberg Info covers the Overberg region of the Cape is located in the southernmost part of South Africa and is one of the six regions in the Western Cape Province. The word Overberg translates into ‘the other side of the mountain’, and was used in earlier days to describe the lands beyond the Hottentots Holland range. This segment of the cape south coast is known for its beautiful beaches, mountain ranges with interesting geological formations, wild flowers, abundant birdlife and forest plantations. Memories from the past with ship wrecks, museums and old architectural treasures mix pleasantly with new developments in the towns, ensuring that visitors are provided with all the essentials. Wildflowers, gentleness of the countryside, rich wheat and barley fields, green pastures, a sparkling coastline with balmy summer days and crisp winter months – a wonderful region to visit at any time of year. The Overberg has very special towns and places to see however, the exceptionally unique experience of watching the meeting of the expansive Atlantic and Indian Oceans at Cape Agulhas, the southernmost tip of the African continent, is truly a once-in-a-lifetime experience. The only Apple Museum in the world is situated in the Elgin Valley, well worth a visit. There are a number of beaches en-route having been awarded the famous Blue Flag status for their water quality, safety and environmental standards. The region is rich in fynbos being part of the World Heritage Site Cape Floral Kingdom. Walking and hiking routes are criss-crossed throughout the region and the entire area is a bird watchers paradise.